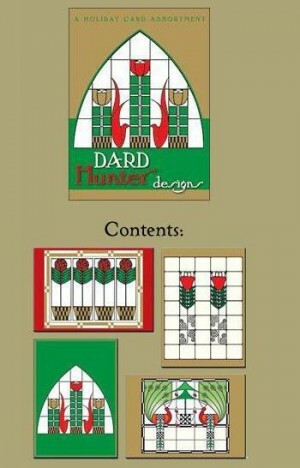 New from our friends at Pomegranate, this card assortment features four adaptations of designs by Dard Hunter. Inside message: Season's Greetings. Twenty assorted 5 x 7" holiday cards (5 each of 4 designs) plus envelopes in a decorative box. Printed on recycled paper. NEW: FREE SHIPPING ON ALL CARD & STATIONERY ITEMS!